Here's a savory, healthful, time-saving twist to breakfast quiche. Use portabella mushroom caps instead of high-fat pie pastry to make individual quiches. Place oven rack in center of oven; preheat oven to 375 degF. Remove portabella stems; wipe clean with damp paper towel. Spray baking sheet with cooking spray, and place mushroom caps on baking sheet. 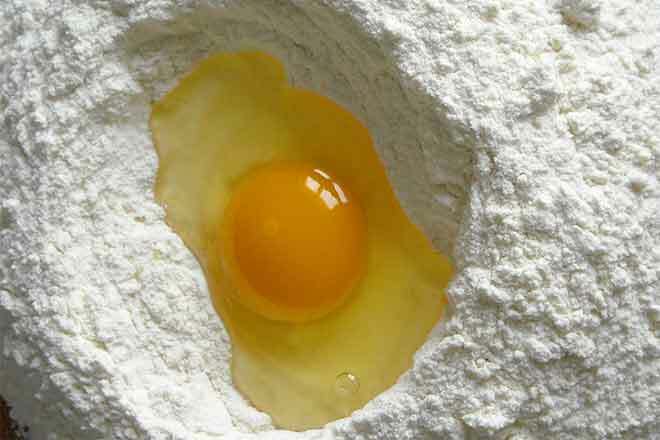 In a mixing bowl, whisk together all remaining ingredients, except 1 tbsp Parmesan cheese. Coat 10-inch non-stick pan with cooking spray and heat over medium flame. Cook and scramble egg mixture until it just starts to thicken. Remove from heat. Using a large spoon, scoop partially cooked, hot egg mixture into portabella caps. Sprinkle tops with remaining Parmesan cheese. Bake about 20 minutes. Serving Suggestions: Serve with strawberries and orange slices (or other fresh, frozen, or canned fruit), water with lime or lemon slice/wedge.